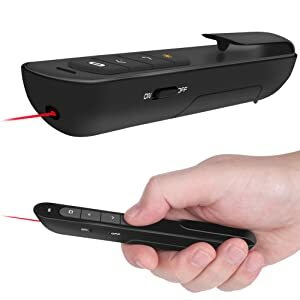 A bright red light that’s easy to see against most backgrounds; Wireless range of powerpoint presenter up to 98 foot, free to move around the room; It comes with a clip that allows you to slide it in your pocket securely. 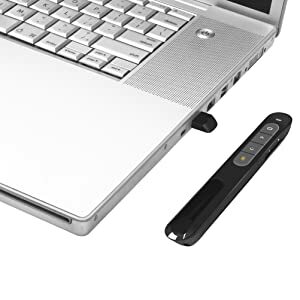 Presenter support options: Windows 2003, XP, Windows Vista, Windows7, Windows 8, Windows 10, Mac OS (For MacBook on OS X, plug the usb receiver into laptop, it will come out a box, and then you can select 101or104 option), Linux, Android. 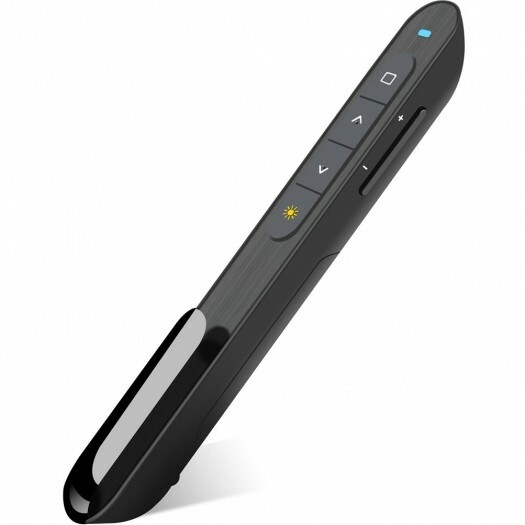 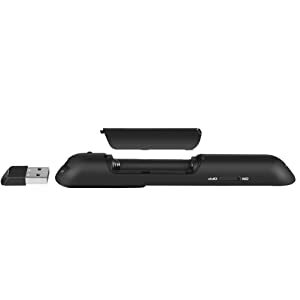 One-piece design, built-in docking bay in wireless transmitter tail to store USB receiver for easy pack up and portability, USB stays secured into place with a magnet system.